Hello again! A second post in one day, whaaaa? Sandy’s gone nuts! Nope. I had rearranged some things here on the blog, and the sale part didn’t get copied to today’s mousie post. Oops! Anyhow – wanted you to know that since we’re all in that tax pain moment, I’m going to let art do what it does best: ease our pains! 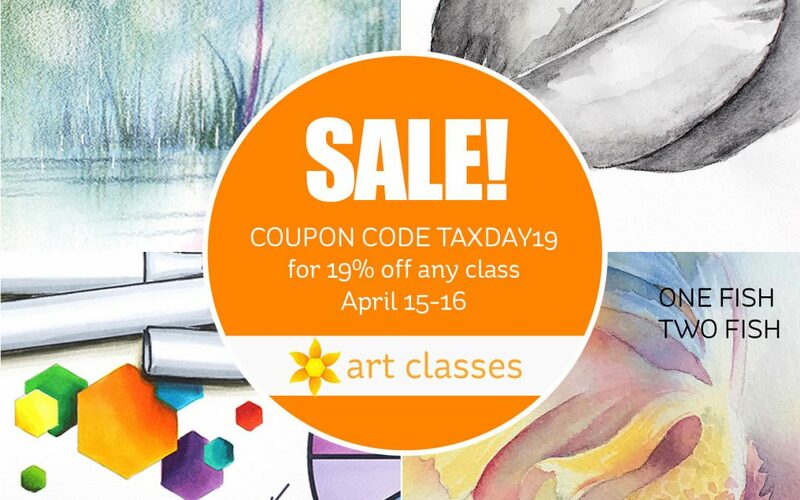 Take 19% off over at art-classes.com ….and go paint or draw or color something. Forget your tax blues for a little while. Enjoy! Sale lasts through tomorrow due to my messup; coupon code is TAXDAY19 . . . Feel free to pass the word to your creative friends! Thank you for the sale Sandy, I have to skip this time, hope this isn’t the last sale. I still have my eyes on the Pencil jumpstart class.